• Planning Assistance – We have the ability to help you analyze and plan for your clients, helping make sure that you carefully consider all alternatives. Assistance can range from providing some helpful tips and pointers on a case to developing a full, written plan. For novice planners, this can be a great way to get your practice going without having full mastery of the subject matter. For experienced planners, we can help with complex and difficult cases. • Staff Training – Ready to grow your staff but find that your time is more valuable servicing clients than training assistants? Let us help. We can provide staff training at a reasonable cost that will let you focus on servicing your clients. • Medicaid Application Services – Need help filing an application? We can file or assist in the filing of Medicaid applications. 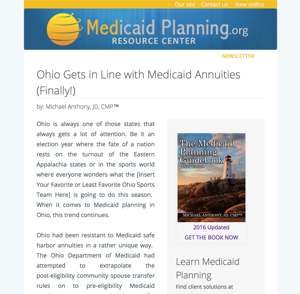 We typically serve as a co-authorized representative on a file and work with the Medicaid department to see the case through from application to approval. • Advocacy Assistance – Have you gotten an improper denial? Your case not panned out the way you thought it would? Don’t go it alone. We can provide assistance with advocacy at all levels. We provide expert testimony when needed and can provide litigation assistance for fair hearings, state and federal court hearings, etc. • Nursing Home Assistance – We provide direct services for nursing homes and their Medicaid patients. Often the nursing homes have patients that run out of money – leaving the administration or social worker to file the Medicaid application. Additionally, facilities have family members who botch the Medicaid applications. We provide assistance for nursing homes to help with your problem cases. 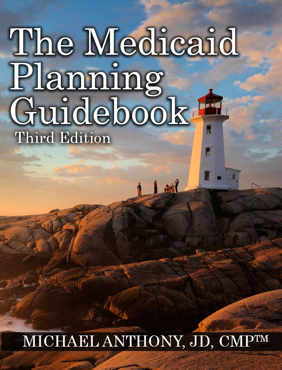 • Medicaid Product Contracting – Are you a financial advisor who wants to become contracted to sell Medicaid products? We can help. Additionally, our training programs are the easiest way for you to become conversant in how to properly sell and use those products. • Financial Suitability Assistance – Is that annuity right for your client? Do you need to know how to structure a gifting plan for use with your product? What’s the right way to name the state as beneficiary? Don’t sweat it, we can help. • Practice Development and Mentoring Assistance – Our practice development and mentoring assistance programs are a way for you to grow your Medicaid Planning business with direct access to all the tools you need. • Marketing Assistance – Are you ready to get your practice off the ground? We have a full array of marketing assistance programs that can give you low-cost ways to grow your practice. We spend the time an energy refining marketing tools so that you don’t have to reinvent the wheel.